Opis ebooka The Little Book Of Aromatherapy - Tiziana M.
Aromatherapy is actually a generic term that refers to many different types of traditions that make use of plant matter and essential oils to create a more positive atmosphere in conjunction with benefiting someone's quality of life. All current treatments throughout the Western civilized world that use essential oils and plant matter are considered aromatherapy, rather than “actual” medical treatments.In general, aromatherapy is a form of therapy that is meant to help someone relax or to reduce stress. Aromatherapy is practiced using essential oils and volatile plant oils to create psychological and physical sensations. It usually requires scented compounds created through volatile plant materials, essential oils, or similar herbal products and it is used as a form of alternative medicine for positively affecting a person's health or mood. Opinie o ebooku The Little Book Of Aromatherapy - Tiziana M.
Fragment ebooka The Little Book Of Aromatherapy - Tiziana M.
Chapter 1: What is aromatherapy? Sure, maybe you have heard of aromatherapy before and are, at least, marginally familiar with the term and the basics of what it means. Aromatherapy has something to do with scents and smells treating illnesses and conditions, right? Now, that does sound a bit unbelievable! How can it possibly do that, simply through the smell of something? Don’t worry, you are not alone in your cynicism. Others have often questioned the viability of this treatment method. How is it really supposed to work anyway? In order to better understand aromatherapy and how it works – if, in fact, it does work at all – we need to get a better understanding of what aromatherapy truly is. Aromatherapy is actually a generic term that refers to many different types of traditions that make use of plant matter and essential oils to create a more positive atmosphere in conjunction with benefiting someone's quality of life. All current treatments throughout the Western civilized world that use essential oils and plant matter are considered aromatherapy, rather than “actual” medical treatments. 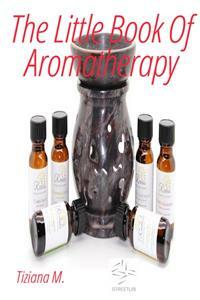 In general, aromatherapy is a form of therapy that is meant to help someone relax or to reduce stress. Aromatherapy is practiced using essential oils and volatile plant oils to create psychological and physical sensations. It usually requires scented compounds created through volatile plant materials, essential oils, or similar herbal products and it is used as a form of alternative medicine for positively affecting a person's health or mood. All of these many uses have made aromatherapy a very popular treatment method among alternative medicines. Many people who do not like the sometimes-unpleasant side effects of prescribed medication, particularly for depression, stress, or other similar disorders, have opted to use aromatherapy to help reach the desired state of being. You might think of some of these people as oddballs for choosing to use aromatherapy instead of other synthetic medications, but it has proven to be effective in certain circumstances when used appropriately or with the permission of a physician. Aromatherapy has been used in one form of another for thousands of years. Throughout time, people have used essential oils and plant matter to try to heal illnesses and cure diseases. For this reason, it is hard to give a specific date or event timeline for the creation and development of aromatherapy. It has adjusted over time to meet the specific needs of each culture as the cultural needs have changed. It has also changed as new plant matter and essential oils have been discovered and utilized. Due to this ever-changing history, aromatherapy in its current manifestation evolved with the use of distilled plant material in order to create essential oils. This particular form of distillation can be traced back as a 20th-century innovation. As currently defined in the medical field, aromatherapy is a term that was first coined in 1920 by a French chemist Renée Maurice Gattefosse. This renowned French chemist Renee Maurice Gattefosse had dedicated his life to research and study regarding the healing properties of essential oils. This dedication was spurred by an incident that happened by chance in his laboratory one day. Gattefosse accidentally set his arm on fire and was racing around the inside of his lab, searching for some way to put the flames out. While searching for the nearest vat of liquid to thrust his arm into, French chemist Renée Maurice Gattefosse came across a large open container of lavender oil. Quickly, the chemist put his arm into the lavender oil to extinguish the flames and, to his surprise, he experienced almost instant pain relief. Gattefosse also noticed through this life changing experience that his burns healed remarkably quickly and left very little scarring. The difference in the healing process between these burns that were slathered in lavender oil and the burns that the chemist had suffered on a regular basis astonished him. One of the most significant breakthroughs that the French chemist Renée Maurice Gattefosse had discovered was that the lavender oil had shortened the overall healing process and healed with very little redness, inflammation, heat rashes, blisters, or scarring.